Mr Paul Jarrett is an experienced Hand, Shoulder, Elbow, Wrist and Upper Limb Orthopaedic Surgeon, and founder of the Paul Jarrett Orthopaedic Clinic. Mr Jarrett has had a rich education in medicine and surgery and undertook his medical degree at Glasgow University, with a period of this time spent at the University of Western Australia pursuing an anatomy scholarship. Mr Jarrett undertook basic surgical training at Royal Perth Hospital and his initial orthopaedic training at Auckland Hospital in New Zealand. Subsequently he took up advanced orthopaedic training in Glasgow and the Royal London Hospital and Royal National Orthopaedic Hospital in London, including six months of peripheral nerve surgery training. He then spent a year engaged in the British Hand Surgery Society Advanced Interface Fellowship in Hand Surgery at the St Andrews Hand Surgery Centre in Chelmsford, England. Mr Jarrett treats all conditions of the hand and upper limb including bone, joint, tendon, ligament and nerve problems and injuries. He caters for all conditions of the hand and upper limb and his team includes Emma our Clinic Nurse, Jane our Clinic Manager and Veronica our Practice Director. We have hand therapists in the rooms during some clinics. We aim to provide an excellent high quality patient centred experience for you at the clinic. Mr Jarrett is happy to accept WorkCover referrals as well as private referrals. Mr Jarrett has a passion for research and teaching and is a trainer for orthopaedic surgery trainees and lectures to medical students in both Western Australian medical schools regularly, and to physiotherapy students as well as General Practitioners on an on-going basis. Mr Jarrett presents at regional, national and international meetings and has many publications in orthopaedic and hand surgery journals. Mr Jarrett has a weekly clinic and operating session at Fremantle Hospital where he is the Head of Department of Hand Surgery and where he sees all his public non-insured patients. In addition to running a successful hand and upper limb surgery practice, Mr Jarrett is a keen sportsman. He has skied to a high level, being race captain for his high school and University. He is a runner, cyclist and swimmer and has competed in marathons, ironmen triathlons and has represented Australia at World Duathlon Championships. Jane Jenkins’ main focus is to ensure that all patients receive a personal, confidential and respectful experience during their visit. She aims to ensure that referring doctors receive excellent service and to see their patients as soon as possible to ensure that their injuries are assessed. 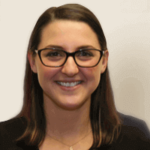 Mikayla Kirschke is an Orthopaedic Administrator at the Paul Jarrett Orthopaedic Clinic, with a focus towards patients, and providing them orthopaedic care. She is always happy to help about our Murdoch Clinic and provide patients with the very best orthopaedic experience, first time, every time. 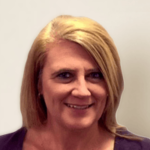 Veronica Jarrett is the Practice Director, working on strategy and planning for the practice, as well as contributing to the leadership for the administrative team. She provides support for the Paul Jarrett Orthopaedic Clinic, and helps encourage staff to grow within their roles, providing ongoing mentoring and support within the team. 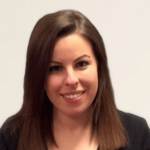 Emma Dariol is an experienced Orthopaedic Clinical Nurse. 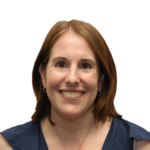 She works in both the operating suite at SJOG Murdoch and the surgical team, and is also involved with Mr Jarrett’s Clinic in consultations, coordinating postoperative care and assisting with research. Jane Waddy graduated with a Master of Physiotherapy from Curtin University in 2004. She has also completed a Bachelor of Science degree in the area of Exercise and Sports Science. 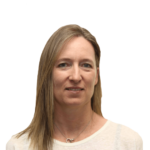 In her eleven years as a Physiotherapist, Jane has worked in a variety of clinical areas including musculoskeletal and sports therapy, paediatrics and women’s health, orthopaedics and for the past eight years in the specialty area of hand and upper limb rehabilitation. She has a passion for hand and upper limb therapy and has developed particular expertise in clinical examination, diagnosis and rehabilitation of injuries and conditions of the hand, wrist, elbow and shoulder. She also has specialist skills in the fabrication of custom made splints. Outside of her physiotherapy role, Jane is a busy mum and enjoys a range of outdoor pursuits including horse riding, skiing and stand up paddle boarding. Anna-Lisa Baker has fifteen years experience as an Occupational Therapist, the last ten of which have been in hand and upper limb rehabilitation. 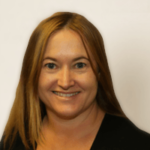 She graduated from Curtin University with a Bachelor of Science (Occupational Therapy) in 2000 and spent the early years of her career working in public hospitals and community settings in both Perth and the UK. She worked in a variety of specialties including community neurology, lymphoedema and spinal injuries before identifying a passion for hand therapy. 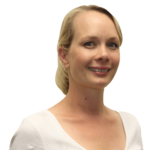 Anna-Lisa commenced working in hands at Sir Charles Gairdner Hospital in 2005, and has since worked as a senior therapist both in private practice in Perth, and in hospitals in London, Cambridge and Surrey in the UK. She has attended numerous hand therapy conferences and workshops across Australia and in the UK. Anna-Lisa has presented on a range of topics in house, and at meetings of the OT Australia Hands Interest Group, Australian Hand Therapy Association and WA Hand Surgery Society. She is currently an associate member of AHTA. Anna-Lisa has a love of travel, music and adventure. She has trekked the Inca Trail, ridden a horse through mountains of Patagonia and scuba dived off the coast of Colombia. Anna-Lisa keeps busy with her young family including two small children and two smallish dogs. Nicole Perera graduated from Curtin University of Technology with a Bachelor of Science in Occupational Therapy in 2001. After four years working in a hospital in the areas of general medicine, orthopaedics, home visiting and aged care rehabilitation, she found her passion, and has worked in hand and upper limb rehabilitation since 2005. She has extensive knowledge and experience in clinical examination, diagnosis and conservative and postoperative treatment of injuries of the hand, wrist and elbow. Nicole works closely with GP’s, surgeons and vocational rehabilitation providers to achieve the best possible outcome for all of her patients. Nicole has presented on a variety of topics both in house and at national conferences. When she isn’t working as an Occupational Therapist she is busy with her active son, twin daughters and small labradoodle.